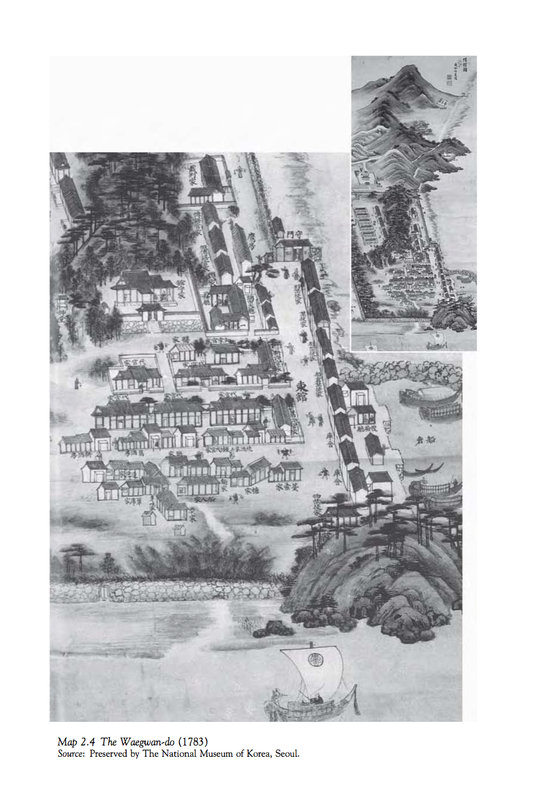 In my previous review I mentioned that the Japanese government and intelligentsia of the Edo period (1603-1868) held a significantly different view of Korean culture from their Meiji period counterparts. For me, this reality seems very perplexing, especially in light of the well-known fact that Japan of the Edo period carried a foreign policy described as closed country (sakoku) which implied minimal external contact and virtually non-existent cultural and diplomatic exchange with other nations. One would think that uneducated, (racially) discriminatory presumptions would find their peak in such an environment, especially towards a country that was the object of several failed conquering attempts in the Imjin War of 1592-98. It would not be incorrect to think that animosity between Korea and Japan would reach its height in the aftermath of that invasion. Nevertheless, a diversity of scholarship counteracts such presumptions. In order to elaborate on the antithetical perception of Korean culture I would like to turn my attention to an article entitled Views of the Neighbor: Japanese and Korean Intellectuals in the Seventeenth and Eighteenth Centuries written by Jeong-Mi Lee. The article is readily available to download for free here. I would also like to include references to preceding research done on the same theme, which can be found in titles contained in Jeong-Mi Lee’s bibliography at the end of her rigorous study. After the restoration of diplomatic relationship in 1607, Korean scholars still thought of Japan as ‘an inferior country with an inferior culture.’ Such prevalent views were undoubtedly residues from the bloody Imjin War of 1592-98. Neo-Confucian scholars became the main cultural Korean export to Japan. Yet even among these scholars the sense of superiority returned when they witnessed Japanese cultural accomplishments and political institutions. These scholars, termed Practical Learning (Sirhak) scholars, attempted to see Choson’s neighbor as an equal state in accordance with the concept and diplomatic practice of kyorin, or neighborly relations, and expressed fresh views of Japan. In the eighteenth century scholars and officials associated with Practical Learning began exploring Japanese society through more recent information about the island country brought back by the members of the various embassies who had traveled there. It was the students and disciples of these Sirhak scholars who became the influential enablers and developers of Neo-Confucianism at all levels of social, cultural and political interaction in Japan of the Edo Period. Some reputed individuals from that camp included Kang Hang (1567-1618), Fujiawara Seika (1561-1619), Hayashi Razan (1583-1657) and Nishikawa Joken (1648-1724). All of these people were impacted by the teachings and writings of Yi Hwang, otherwise known as T’oegye (1501-1570) and their indebtedness to this man is revealed by countless expressions of praise and admiration. Other contributors to the proliferation of Neo-Confucian ideas included ex-prisoners from the Imjin War who discarded their postwar animosity, married Japanese women, had children and never returned to Korea. The better part of the article presents the thought of a reputed Sirhak scholar, Yi Ik who wrote extensively about Japan and sought to present the country not as inferior (as the prevalent opinion was bound to be in the Korean Peninsula) but equal in its unique cultural achievements and, foreshadowing the uncertain future, even dangerous. Yi Ik criticized the antiquated popular belief that Japan was an uncivilized land by pointing out the high levels of literacy which, unknowingly to him, could rival many Western nations from the same period. It has been six to seven hundred years since the Japanese emperor lost his political power. This was not the wish of the people [of Japan]. Among the population loyal to the imperial court, the name of the emperor is still revered and those people will obey what he says. Something [relating to the imperial court] may possibly happen later on. If a new generation was to assemble, and [they] were to succeed in persuading the emperor to reign over the polity, they would call on others [to overthrow the bakufu] and their righteous desire [for the emperor to rule the country] could bear fruit. It is possible that the daimyos of the domains might join [to support the emperor]. If this occurs, [the representative of the shogun might claim], ‘He is the emperor, and I represent the king [meaning the shogun].’ How would we deal with this? During the Imjin War, the desecration of the royal tombs [by Japanese troops] indeed caused resentment and a desire for revenge. The dispatch of Ming reinforcements [to the Korean peninsula] in the Wanli period [1573-1620] was an act of virtuous benevolence that can never be disregarded. However, the devastations [of the Japanese invasion] left nothing and no methods to recompense Ming China [for its munificence] were found… There is much to say about the invasion; however, the ringleader [Toyotomi Hideyoshi] is dead and other people already regret the past misconceptions. Time has passed; it is time to think of letting our people disarm and rest… Overall, neighborly relations enable us to enhance mutual friendship, control feelings, and show sincerity [toward each other]. In so doing, the existence of the royal court, the society and the people will be perpetuated and maintained in peace and in comfort. Yi Ik’s conciliatory tone was for the benefit of building a closer and more cordial relationship with Korea’s neighboring country. He could not foresee the violence and destruction orchestrated by Japan that would visit his nation more than a century after his passing. Here I cannot disregard the fact that, having had the past experience of similar tribulations during the Imjin War, Yi Ik nonetheless encourages his country fellowmen to accord greater understanding and friendship towards the Japanese so as to benefit both nations. It is with sad irony that one remembers that the Japanese completely changed their views of admiration about their neighbor and, during the late Meiji period, all the way throughout Taishō and the prewar Showa periods, they disseminated the idea of a weak, uncivilized Korea, a nation whose ‘barbaric’ people have invited foreign occupation and economic stagnation, a nation which, as a result of its inherent racial inferiority, deservedly had to come under the tutelage of a superior Japan. However, in the spirit of Jeong-Mi Lee’s article (which is an abridged version of what could possibly be a great, interesting book) and in solidarity with Yi Ik’s vision, I do not wish to dwell on a history of brutality. This has been covered by other writers in a more just and precise manner. Here, I am interested only in how Korea’s image of Japan and Japan’s image of Korea have developed over time. My curiosity was originally spurned by Bayliss’ short rendition of this interesting historical episode in his monumental book. This is an episode which should be accorded additional research, as the results of a broader investigation could show even more points of contact that brought Japan and Korea together during times when they positively influenced each other and built relationships exceeding mere economic interest. On the same subject, I intend to check out in the near future James B. Lewis’ Beyond Sakoku - The Korean Envoy to Edo and the 1719 Diary of Shin Yu-han and Ronald B. Toby’s Carnival of the Aliens. Korean Embassies in Edo-Period Art and Popular Culture, both of which can be accessed through JSTOR. Lee, Jeong Mi. "Articles: Views of the Neighbor: Japanese and Korean Intellectuals in the Seventeenth and Eighteenth Centuries." Sungkyun Journal of East Asian Studies 13.1 (2013): 29-52. Lewis, James Bryant. Frontier Contact Between Choson Korea and Tokugawa Japan. RoutledgeCurzon, 2003: 37.